So my 9 year old has been showing interest in my hobby for some time now. We went to a local expo yesterday and I surprised him and told him to pick out whatever he wanted. I influenced his decision to a colubrid of course since they're easy to care for. I wasn't going to let him get "whatever he wants" lol. 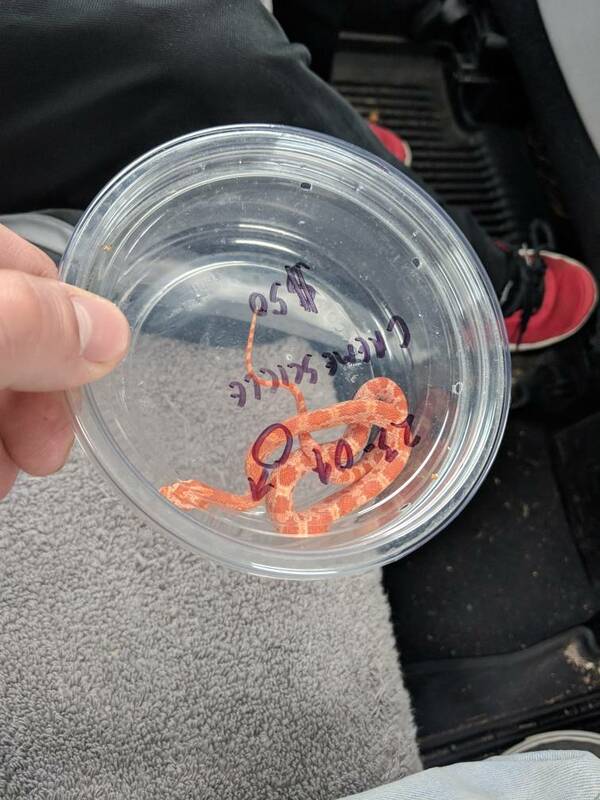 But he decided on a cute little creamsicle corn snake. He's super stoked and can't wait for the acclimation period to be over so he can handle him (with supervision of course). So here he is. Still deciding on a name. I had a better picture but apparently it was an "adult image" WTH?! Totally adorable & a very good choice...'adult image' LMAO!